Sharing their exploration of The Avatar® Course. On the pages of this magazine you will be introduced to three Avatar students. First comes a spiritual explorer; he is a recognized, world-experienced medical doctor from South Africa. Next is a devout Christian woman who is deeply troubled by life. Third is a seeker in search of answers, wanting to know and wanting to be certain. All three students took The Avatar Course at different times and in different parts of the world. These thumbnail sketches are not presented as inspirational praise of The Avatar Course, but as honest and sincere logs of inner passages across regions where the headwinds can turn from fair to foul and back again in a matter of minutes. This is not Madison Avenue marketing; this is not even Reality TV; this is REAL. People on The Avatar Course can fall down and get lost before finding their way, some experience strong emotions, but with a little help from their friends, they also come up like the sun and are never the same. Star’s Edge sincerely wishes to thank these people for their honesty and vulnerability; they do us all service. Beautiful work, just magnificent and right on target. I feel gratitude to the three students highlighted in this booklet for their willingness to open a vulnerable window on their personal journeys so that others can consider the adventure of a lifetime. No, it’s not always an easy course. No, it’s not just pretending that everything is always beautiful, Kum-Ba-Ya. This is the highest game going. It’s about getting real, gritty, honest, centered and happy, getting down to why we’re here and how to experience life more fully and with more real satisfaction for us all. Still, all these many years later, there is no high that compares to the startlingly beautiful awakening I experienced on my first Avatar course in 1990. And from there, it’s just gotten better every day. 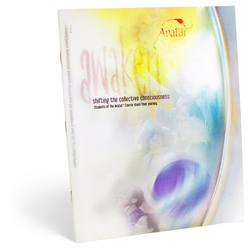 I recently received a copy of your Awaken publication. I quickly read it cover to cover—twice—and I want to tell you that I think you did a beautiful job with it. Kudos to you all for being courageous enough to include stories that weren’t all glowing testimonials. The cumulative effect produces a sense that The Avatar Course is not some airy-fairy spiritual discipline nor a grueling group encounter tear-you-down-then-build-you-back seminar. It’s clear from the journals that The Avatar Course’s main research materials consist of one’s own beliefs, viewpoints, and consciousness. There’s no talk or even any suggestion of “secret knowledge” that will be imparted, but a definite suggestion that one will discover worlds of wonder within their own awareness if the course is approached with the proper amount of enthusiasm and persistence. One gets the sense that Star’s Edge is being sober and realistic in the pitching of the course, and the reader is left to understand that there is something truly valuable, truly wonderful to be experienced here. I’ll bet you get more students than you can handle as a result. Just wanted to let you know. Good job. The excuses that keep us from fulfilling our potential and the experiences that overcame them. Many spiritual paths have found their final destination with Avatar. Tomorrow's leaders tell how Avatar is preparing them today. Day 3: Adriel - We’ve moved from lots of exercises over the last two days to just one for today. Also we’ve shifted to more working on our own at our own pace. I got way mental doing the first exercise, putting a lot of energy into doing it right. A Master reviewed my debrief and, surprise-surprise, sent me back out to do it again. Fortunately, he also took some time to work with me, helping me see how much easier this is than I was making it. The result of the second time was fun, light, and easy rather than heady and disorienting. Bulk pricing is available for Awaken.